This week I came across an article on Slashdot with the headline “IE Drops To Single-Digit Market Share“. Wow, that sure sounds like a rough ride for Internet Explorer, which used to completely dominate the web in the beginning of the 21st century. Oh how the mighty have fallen. There’s only flaw with this article: what its headline suggests isn’t true. The stats referenced here were actually taken from a single website. Since the world wide web consists of hundreds of millions of websites it’s pretty obvious that the “market share” claim has a slight problem with the sample size. Anyway, I guess we could still draw some conclusions from it if this data came from a widely used website that ranks high up there in the list of most visited websites of the world. So, was it from Google, Facebook or Wikipedia by any chance? Nope. The data was collected from a site called W3Schools, which calls itself “the largest WEB DEVELOPERS SITE on the Internet.” Okay, I’m pretty sure the site owners know how to collect browser stats then, but what I’m less sure of is that their target audience would reflect the average Internet user. Just like most people driving cars don’t actually know how to make cars nor even have an engineering degree in any other field, the people who end up consuming the content of the W3Schools website are people who make websites. If your mom & dad have ever visited W3Schools then all I can say is you have a really cool family, but unfortunately I think most other families aren’t quite up there in their geekiness level. I could have just googled up some more reliable web browser market share figures and pasted them here, but that would have been a fairly boring blog post to write. Since I drop by here so rarely these days (just blame Twitter, Google+ and all the other social networks), I didn’t want to just reflect on a random Slashdot article but rather take the opportunity to learn a bit more about the topic in question. 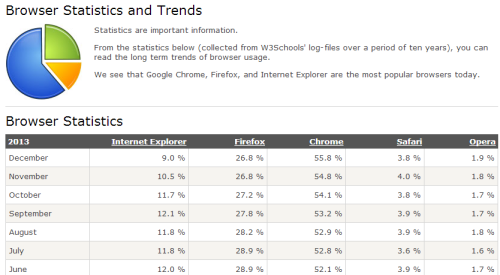 Therefore I decided to generate my own browser market share statistics. Unlike the Slashdot article, I’ll be the first to spill the beans on how the visitor demographics of this site are skewed: it’s a blog targeted at relatively tech savvy people who are working with a specific Microsoft software product (Dynamics CRM). What this means is that there won’t be quite as high rate of developers in my audience (for example, I’m not a developer myself, as in a person who would write any lines of code, or even HTML markup). There will, however, be a high share of people whose salary comes from consulting work around a product built by Microsoft, so many of them will root for software originating from Redmond as opposed to Mountain View or Cupertino. 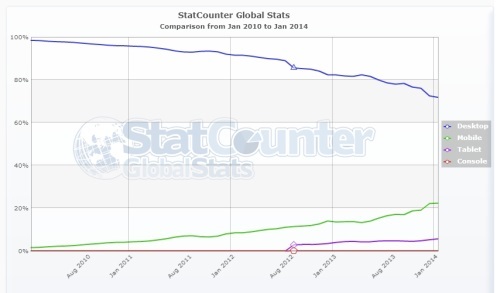 With this in mind, the stats are in line with the overall downward trend for Internet Explorer market share. 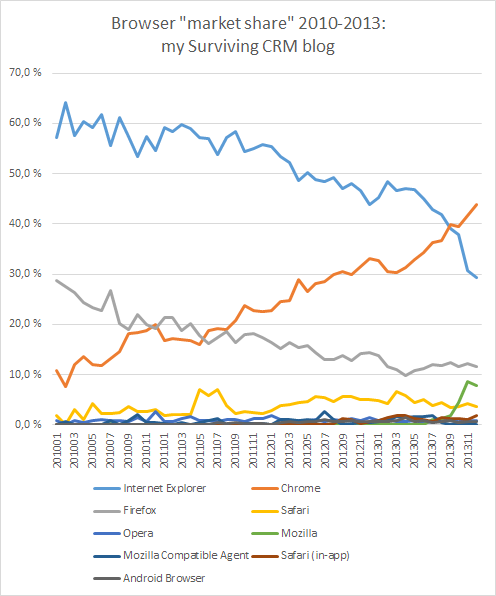 Over the past 4 years Chrome has leaped from 10% to 44% share while both IE and Firefox are in a terminal decline. Safari is holding in there with the few percentages that it has managed to claim, which is a lot more than Opera can ever dream to achieve. September 2013 was the month when Chrome overtook IE and the gap has really opened up in the past two months. Coincidentally, we’ve also seen a huge spike for “Mozilla” browsers during the same time frame. As the latest Internet Explorer 11 identifies itself as Mozilla via the user agent, we should probably count the green graph into the IE share, which would mean the decline isn’t quite as big as the chart implies. Still, Chrome remains in the lead and if the trend continues, the gap is likely to keep on growing. Personally I’m not at all surprised to find that Google’s browser is on the number one spot for my CRM blog. Heck, I’ve been using it as my primary browser at home for probably almost as long as the graphs above go. The user experience in the little details that you encounter during the course of the day has been better than in any competing browser. As for the performance in rendering the client heavy web apps of today, I’ve simply relied on the opinions of “web development experts” that Chrome has been a consistent performer on this front. The work related tasks and business applications still remain in my IE windows, but Chrome is the place for all the fun stuff and for using Google’s services, simply because it has been a fun browser to use. I believe Microsoft is working hard these days on improving the bad reputation of IE and under the right circumstances it might well be a worthy competitor today. However, the experience of upgrading my Windows 8 machines to Windows 8.1 and getting the latest Internet Explorer 11 installed as a bonus (that you can’t opt out of) lead to so many encounters with websites that were incompatible with IE11 that I decided to not ditch Chrome just yet. On my Surface 2 tablet or my Lumia 1020 smartphone the only browser choice is naturally IE and I’ve not had any big issues with either one, so I have no reason for being anti-IE. The future is mobile, right? For many years now we’ve been catered to stories telling us how the age of the PC has come to an end and that we’re now living in the Post-PC era where every computing need we have is better fulfilled by a sleek mobile device that fits into our pocket (well, a really large pocket for tablets), has an intuitive touch screen UI, doesn’t run any of the old, clunky PC software, comes mostly in white color instead of the beige tone of ancient PCs and is built mostly from components manufactured by Samsung. Any company or person that is running a website has been instructed to de-emphasize the traditional desktop browsing thinking and instead adopt a “mobile first” mindset where the primary method of consuming web content will be via a mobile device. Well, that wasn’t nearly as exciting as the browser wars, now was it? Instead of a downward death slope for desktop browsing, we’re seeing only fairly moderate decline during the past 4 years. Starting from in practice a 100% share back in January 2010, the share of visitors with desktop browsers has come down to 92,2% in December 2013. Mobile browsers have at times reached a high of 6% but on average tend to remain closer to 4%. Tablets are a more recent entrant onto the scene and are not able to reach mobile’s market share on a consistent basis yet but rather occupy the 3% milestone. Should we call off the mobile revolution then? Probably not, but we should rather try to understand how exactly users with smartphones and tablets are consuming content. The wider market share figures for different devices, as illustrated by StatCounter below, do indicate a stronger trend in mobile browsing. You only need to keep your eyes open in public places and observe people being glued to their smartphone screens to understand that they will be doing more than just playing Angry Birds or Candy Crush Saga on these devices. Even with the onslaught of trillions of apps out there in the stores, it’s very likely that the smartphone users will frequently venture on to websites and thus appear in these visitor statistics. 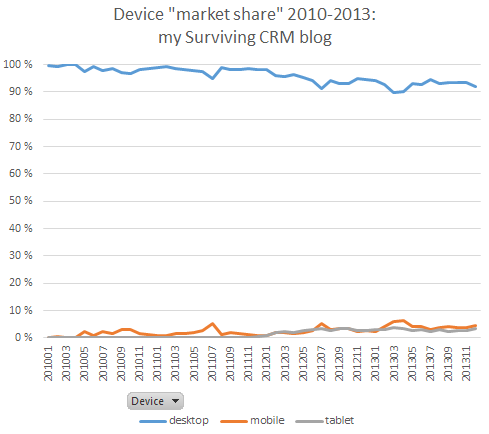 For a technical blog like Surviving CRM or even W3Schools for that matter, mobile device users just aren’t the most likely audience. On a blog site the mobile traffic will quite often come from links shared on social media, which is a very common mobile use case for those tiny iPhone touch screens. Having a version of the site that is easily consumable on such a device makes perfect sense, but there isn’t much point in trying to make the content of the site fit a strict “mobile first” criteria (yet). Designing responsive websites is an art that the W3School website visitors will surely be studying quite intensively these days, yet even that study will in 97% of the cases take place on a desktop web browser. Yeah, the browser will probably run on a MacBook or some other laptop that doesn’t fit the “desktop PC” description, but it’s still consumed in the virtual desktop surroundings of the operating system. If there’s any lesson in this little study of the changes in browser market share trends, I’d say it’s about learning the importance of one word when it comes to statistics: context. Just because a piece of statistics can be collected and visualized in a chart, that doesn’t mean any of the conclusions people draw from it should be taken at face value. The numbers may be true, but the phenomena that they describe can be something quite different that the persons quoting the statistics portray it to be. Similarly, just because a specific market trend can be observed from data collected from reliable sources, this doesn’t mean it will be globally true for all of the market segments. Use the statistics to first understand what is happening around you, then analyze the more detailed data to understand what exactly is happening to you. Tagged with browser, Chrome, Google, Internet Explorer, Microsoft, mobile. The world of IT would be a horribly boring place without the ever evolving buzzword bingo around different trends and emerging technologies. 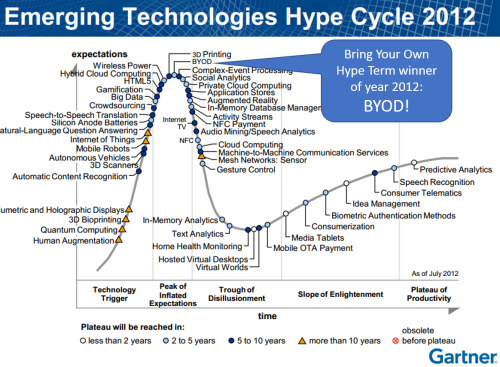 The term BYOD (Bring Your Own Device) topped the chart’s on Gartner’s Hype Cycle for 2012, then disappeared from the next one, but it’s still surely riding high on the hype wave, now partially blurred with all the different mobility hype terminology. A friend of mine wrote a great post on the numerous challenges that BYOD will face when taken out into the real world and meeting the security requirements of corporations, ISO certifications and all the other boring objects that are both less shiny and much thicker than the latest iPad Air. Inspired by this, also decided to write down a few thoughts on all things BYOx. I think the BYOD phenomenon has been exaggerated and the scenarios which some vendors are hyping up are very unlikely to become a widely adopted practice. At the end of the day it probably hasn’t been such a major shift towards the need for “bringing your own” rather than just a backlash against the bad practices forced upon corporate slaves by the ever so evil IT departments (and the boards who cut their budgets). If you make people work with XP machines that take 15 minutes to boot and don’t provide them any mobile services for basic communication outside a crappy VPN connection, then surprise, surprise, these folks will be interested in any alternative that shows them a potential way out of such IT hell. I see BYOD as a concept that falls under the more important Shadow IT umbrella, instead of it being a major trend on its own. 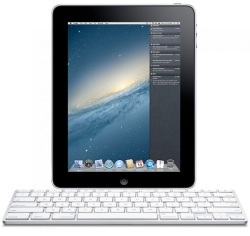 BYOD might as well be labelled BYOM or BYOI (Bring Your Own Mac/iPhone), since that’s what it’s really been more about. People dream about the possibility of working in a same kind of care free environment that their devices back home make up, while ignoring the fact that a single user computing environment is by definition always going to bee far more simple than any system that has been designed to meet the basic requirements of performing work within a group of people belonging under the jurisdiction of the employer organization. Switching your PC to a Mac will not solve any of these problems, more likely it will just deliver a more siloed environment for information work, as the tools lack the characteristics which would support the work of real life business teams. Don’t have a clear decision maker. This way the can be seen as something that can help to expand the area where information systems support the day-to-day information work, since Corporate IT by definition isn’t well suited as a service provider for such a landscape, whereas for Shadow IT this is the natural inhabitant. Cloud apps can fill the gaps in existing and emerging workflows of teams at a speed that cannot be matched by any other approach, so simply banning them would be the equivalent of cutting away employee access to the public Internet and instead forcing people to perform their information searches in the corporate library of physical books. Then again, expecting the cloud apps to come and replace existing enterprise software just like that is an equally absurd idea. They should be seen as a quick way to experiment with a new idea, knowing that the same time next year the service will probably no longer be used. Hardware matters, but software rules. Time spent on arguing whether the employees should be doing their work on a PC, iPad or Galaxy S4 will not yield any long term ROI, the way I see it. The BYOD discussion should in my opinion be BYOA (Bring Your Own Apps): the quest for finding a way to live in the middle of an ever growing and evolving app cloud that surrounds us at work and at home – and especially on the road between the two. Looking at it from the employee perspective, the phenomenon is actually BYOW – Bring Your Own Work onto your personally chosen platforms of IT hardware and services. Now that the ownership of production equipment no longer is solely the right of corporations as there’s a factory in every pocket and a tablet on every desk, the traditional 1:N relationship between employer:employee will become N:N for a growing share of information workers. Which, from the Corporate IT perspective, is again a much more significant phenomenon to deal with than the discussion on which OS’s and devices should be supported. Tagged with Apple, BYOD, cloud, collaboration, enterprise, gadgets, iPad, mobile. Tagged with Android, BlackBerry, Microsoft, mobile, Nokia, Windows Phone. A few months roll by and you’ve already gotten over the initial wow effect. At around one year later, you’re probably already cursing at the same computer for taking such long pauses in between tasks. “God, this thing is soooo sloooow. Should I start looking for a new computer already, even though this one is like, what, only a year old?” Many of us have gone through this cycle already so many times that we’ve come to expect it to be the norm. Some bite the bullet, completely wipe their existing hard drive and re-install Windows on their old machines once a year. Others try to clean up things on their registry, remove installed apps, defragment their hard drives and so on, until they give up and just buy a new computer. Which, initially, will again give the huge rush of “Wow! Fast!”, for that brief moment in time. 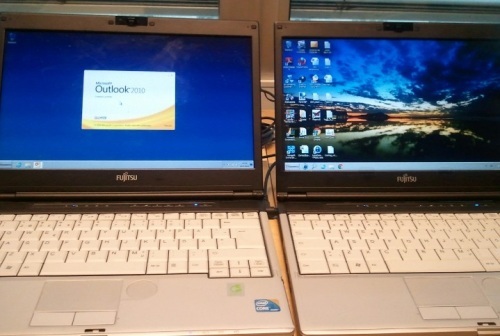 I had been using a Fujitsu Lifebook S760 at work for 1.5 years and was starting to feel desperate. My ability to perform everyday tasks with the tools I had were severely hindered by the piss poor performance that my PC was delivering. Not only was the time needed for booting up the machine growing beyond 15 minutes, but normal operations like opening, saving and closing Office documents simply seemed too challenging for the Lifebook to handle in a smooth enough manner. I was constantly reminded of the performance issues while working on the computer, paying attention to the machine’s struggle, which had an adverse effect on my own performance as a knowledge worker who needs to juggle multiple pieces of information on the screen to get the job done. I’ll be the first to admit that I had installed & removed a high number of applications during the course of the past year, which had inevitably left a mark on the system. However, I had also performed every trick I know in order to make sure the operating system and the hardware were optimized for their job. I had of course regularly run apps like CCleaner & JetClean, removed unnecessary services from system start-up, re-arranged my hard drive, disabled Aero etc. Still, my 20 years of experience with PC’s were of little use in making the situation any better. Luckily I got hold of a spare laptop at our office that was identical to the one I had, but it had a lot less mileage on it. I created a user profile for myself, configured the basic Microsoft apps & Online Services login and installed the latest updates. Although it was far from a brand spanking new device with that “Wow!” factor, the difference was huge. Since you rarely have two identical pieces of hardware available side by side, I decided to do a little speed test. The challenge was this: from a cold boot, log in to Windows, launch Microsoft Outlook, write an email to yourself (single character subject & body) and receive the same email in your inbox. First, let’s compare the time from pressing the power button to getting a Windows domain login screen (over corporate WiFi): old PC 2:12 / new PC 0:57. Alright, we’ve already saved over 50% of our time so far. Now comes the more challenging part of loading all Windows services, authenticating to Exchange Online and getting the Outlook UI into a responsive state that allows us to write and read emails. The final results (time from the power button): old PC 12:00 / new PC 5:40. The same difference held through until the end, I was able to perform the same simple task in less than half the time it would have taken on my old laptop. Meaning, in theory, I could get twice as much done while at the office. The fact that a PC with less clutter in its user profile and registry was faster in such a test is no surprise, of course. I was personally surprised that the performance of a semi-new work laptop was still so poor when you measure every second. Granted I had not exactly optimized the spare machine much before clocking the times, but still. 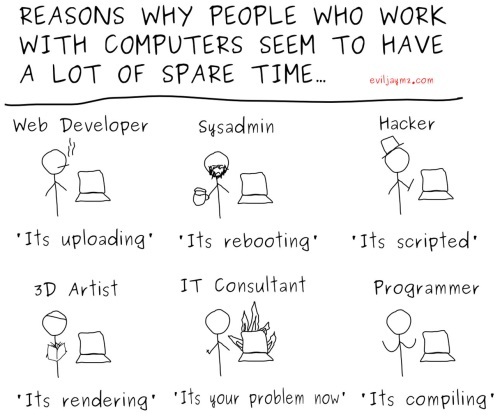 Waiting for five minutes to accomplish a computing related task feels absurd. In this day and age, who’s got an attention span that long anymore? 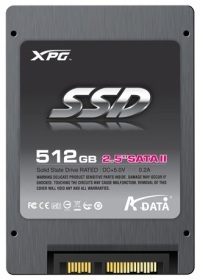 I decided to try the same challenge on my 4 month old home PC, equipped with a solid state drive. Hard drives have now long been the most influential component in terms of improving the performance of your computer, assuming you’ve got a decent level of CPU power and memory available. To make the scenario even more interesting, I skipped launching a desktop app like Outlook and just used Chrome to access Gmail (since who runs Outlook at home anyway?). With the help of an SSD and cloud based apps, the time from boot to login was 0:20, with the email was sent & received by the time the clock hit 0:50. That’s one sixth (1/6) of what the newer office laptop was able to perform with its old fashioned spinning HDD and a desktop email client app. Compared to the older laptop setup, the process at home took only 7% of the time. Talk about a productivity boost! And on my free time, too! Ok, so you may be questioning why I’m so keen on measuring the time it takes from a cold boot to running an app. Couldn’t I just put the PC on sleep mode instead? I could, but the reality is that both the old and the new work laptop give me an error 4 times out of 5 when trying to resume operation after the sleep mode, so in fact that would be even slower than a cold boot. Hibernation is of course an option and that’s what I use whenever I need to move from point A to point B with the laptop. However, getting into hibernation always takes at least 2 minutes and resuming from it results in an agonizing period of lousy app response times when the Lifebook is trying to regain consciousness after it has been woken up. Therefore, sleep or hibernation on a Windows laptop is not the solution, it’s just a new type of problem. The only answer to the curse of slow tech seems to be to never turn off your devices. Now, what’s particularly great about this answer is that we’re already surrounded by computers that are always on & always connected. The only thing is that we don’t call them computers, instead we label them as “smartphones” or “tablets”. In many ways, they are far better computers than any of my actual computers. If I perform the same speed test of sending an email to myself on my iPad, Windows Phone 7 or Anrdoid device, I won’t start from a powered-off mode since that simply isn’t how I ever interact with them. They’re always on, so I simply click a button and enter an unlock code, swipe a pattern, or even just let the phone recognize my face with its front facing camera, and voilà, it’s ready! The mail app will be exactly as responsive no matter when I click its icon, and the data connection will be ready for transmission, as these things are designed to keep hold of the WiFi or cellular network as hard as they can with their tiny internal antennas. There’s a reason why corporations are starting to equip their employees with iPads. It’s not because they look cool or have the nicest user interfaces for Facebook & Twitter. It’s because they really, truly make information accessible to knowledge workers anywhere, anytime, with the least possible amount of friction. Instead of being a barrier between the user and the information, like traditional office technology, they are almost entirely transparent gateways to the information that get out of the way and give space for the user to think. Not they other way around, which is when the user is waiting for the computer to think. Sure, we pay a price for the luxury of having our mobile devices work this way. We must sacrifice old benefits like proper multitasking, freely arranged application windows, the freedom to install any software bits, compatibility with legacy software, large screen estate, even the physical feedback from a keyboard & mouse. By spending €600 on a tablet instead of a laptop we ultimately get less computer for the same money. But at the end of the day, that is nothing compared to the price we pay for the curse of slow PC technology. Absolutely nothing. The difference between having the required information and the manipulation tools for it at your disposal whenever you need, compared to the fear of trying to undock a Windows laptop and keep it from not crashing and rebooting while you move from your desk to the meeting room – that is the biggest price difference of all. The time may not be ready for the whole of humanity to abandon their old computer gear and start celebrating a pure post-PC era. After all, you can’t program a smartphone with a smartphone. There’s a wealth of use cases where you don’t want to replace the sophisticated and accurate input devices we have with a flat piece of touch enabled glass. Sometimes all the CPU, memory and storage capacity is needed locally, as is the number of pixels provided by a multi-monitor setup. Mobility is not everything, every time. We still need trucks to deliver raw material to the factories and goods to the retail outlets. The thing is, we don’t need trucks for driving to the supermarket to pick up the end product and take it home with us. For that we can use family sedans, sports cars, motorcycles, even public clouds transportation. The information super highway, as it was once called back in the prehistoric era of personal computing, is only now starting to see the type of vehicles that allow us to really make use of its long straight roads and the abundance of lanes. It was never meant to be driven on by the same heavy machinery that were used during its construction phase. It’s time to replace our trucks with something a bit more fit for the task, don’t you think? 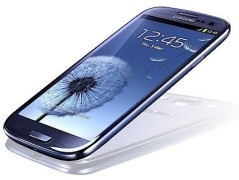 Tagged with Android, Apple, gadgets, iPad, Microsoft, mobile, pc, Windows 8, Windows Phone.